Whether it's Valentine's Day or not, you'll love these WonderWink Scrubs Women's Red Romeo Pants 5026 RED. They look great and feel even better. Made of 65% polyester and 35% cotton, these red scrub pants are the perfect choice for women whose schedules don't g ... (see full details) (see specifications) #WWI5026-RED. Whether it's Valentine's Day or not, you'll love these WonderWink Scrubs Women's Red Romeo Pants 5026 RED. They look great and feel even better. Made of 65% polyester and 35% cotton, these red scrub pants are the perfect choice for women whose schedules don't give them time to slave over laundry and ironing. 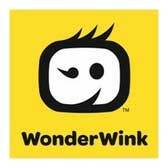 The fabric used on these WonderWink scrub pants easily releases stains, launders with ease, and resists wrinkling. With six pockets, these flare-leg scrubs give you enough room to stow money, scissors, your work ID, and any other tools you'll need for work. You'll find lots of uses for two back hip pockets, two waist pockets, and a double cargo pocket on the right leg of these red scrub pants. A signature ID bungee loop on the cargo pocket is handy too. A half elastic waistband holds these uniform pants up and gives them a smooth look. The elastic's in the back and the front fastens with a drawstring. Tuck the strings inside or let them hang out the front--it's up to you. Show your true colors with these fashionable and good looking WonderWink Scrubs Women's Red Romeo Pants 5026 RED. You'll love them, and they'll love you back. These scrubs are very well stitched and the material is very soft (After washing) The sizing is accurate. I would reccommend theses scrubs to anybody looking for scrubs that are comfortable for those long shifts @ work or just to lounge in. WonderWink Scrubs: Women's Red Romeo Scrub Pants 5026 RED is being added to your cart.